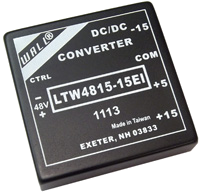 The LTW series of DC/DC power converters provides 15 Watts of continuous output power in a 2.0” x 2.0” x 0.52” package. 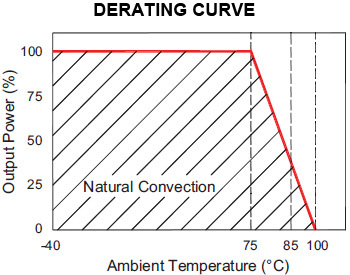 This series has triple output models with 4:1 ultra wide input voltage ranges of 9-36VDC and 20-72VDC. Some features include 1500VDC I/O isolation, remote ON/OFF control, six-sided shielding, efficiency up to 80%, and short circuit protection. This series is RoHS compliant and has UL 60950-1 safety approvals. These units are well suited for use in wireless networks, telecom/datacom applications, measurement equipment, industry control systems, and semiconductor equipment. All models are 100% burn-in tested.